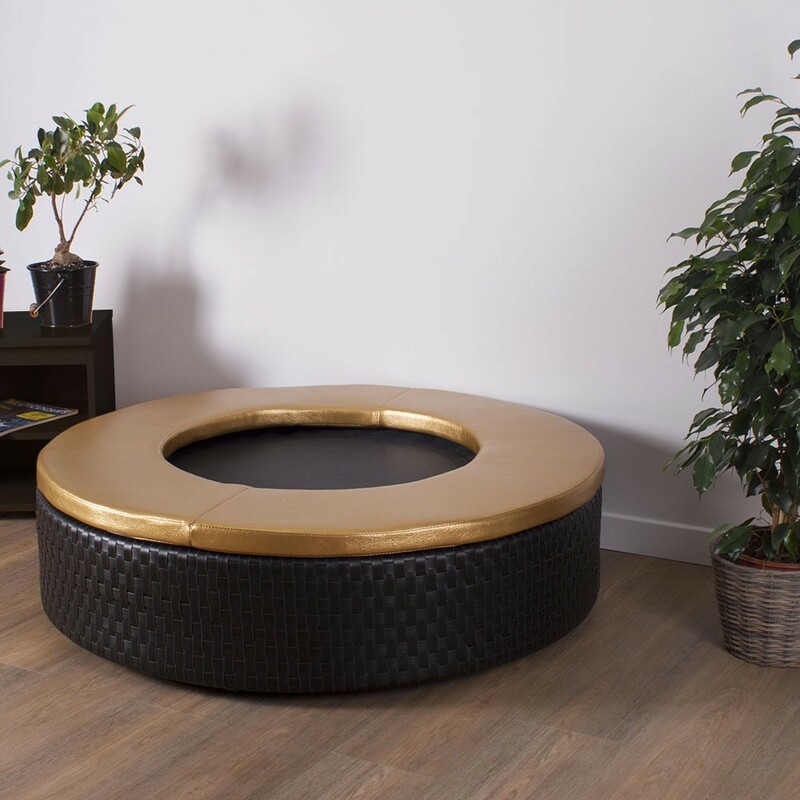 Mini Lounge trampoline: luxury indoors trampoline for a unique lounge. This small fitness trampoline will fulfill the expectations of families looking for an exceptional product for their homes. 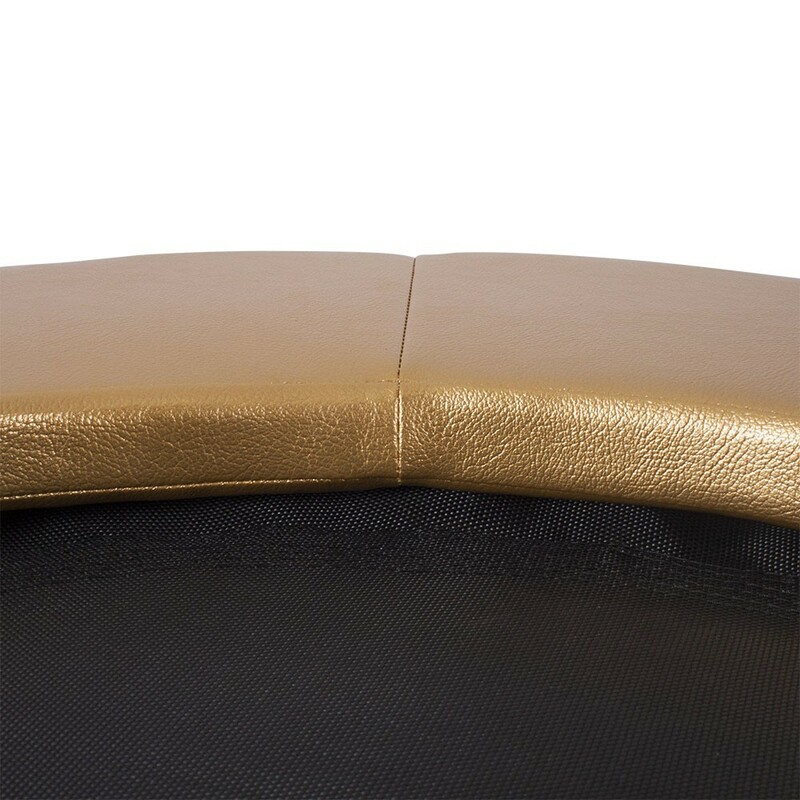 The Lounge indoors trampoline is a sports trampoline made for exercising, but remains elegant. It withstands weight of up to 100 kg and allows you to exercice indoors. The beautiful, high-end finish means you can easily leave it in your lounge. It can also make an ideal alternative seating area. 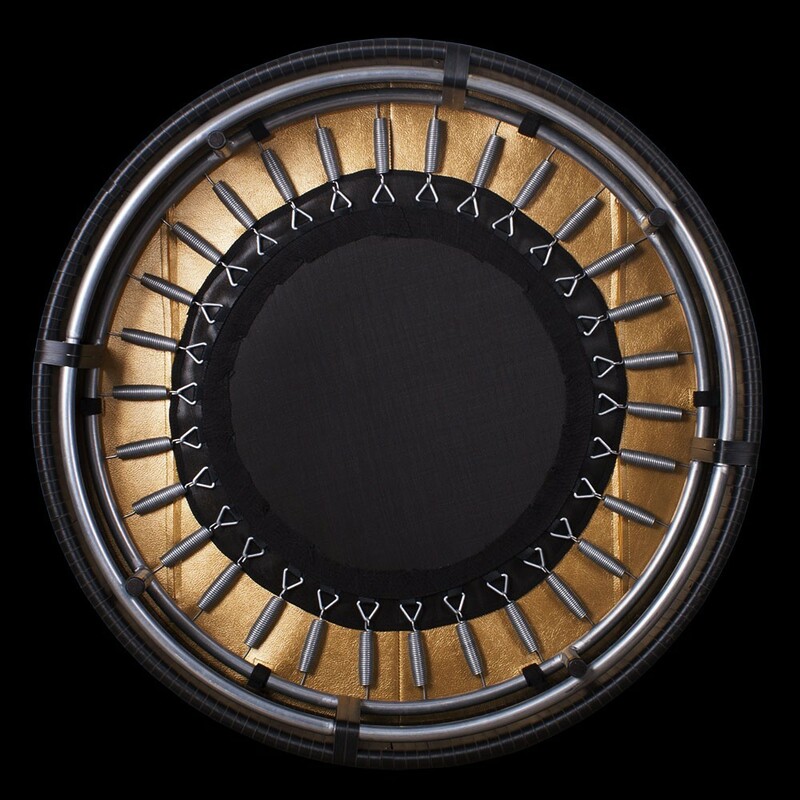 - This round trampoline has a solid steel frame which is 25 mm thick. The frame has been hot-dip galvanized so you can use it indoors all year round, or in an outdoors covered area. Be careful however, not to use it outside as it has not be treated against corrosion. 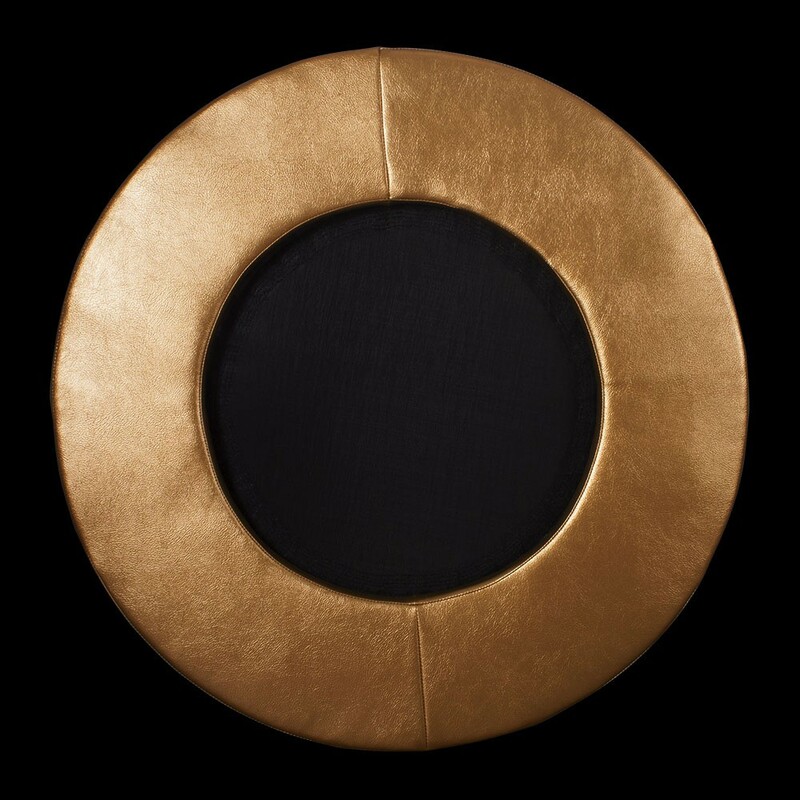 - It measures 110 cm in diameter, making it ideal for adults and children (under supervision). As it takes up very little room, it will be ideal for your lounge. 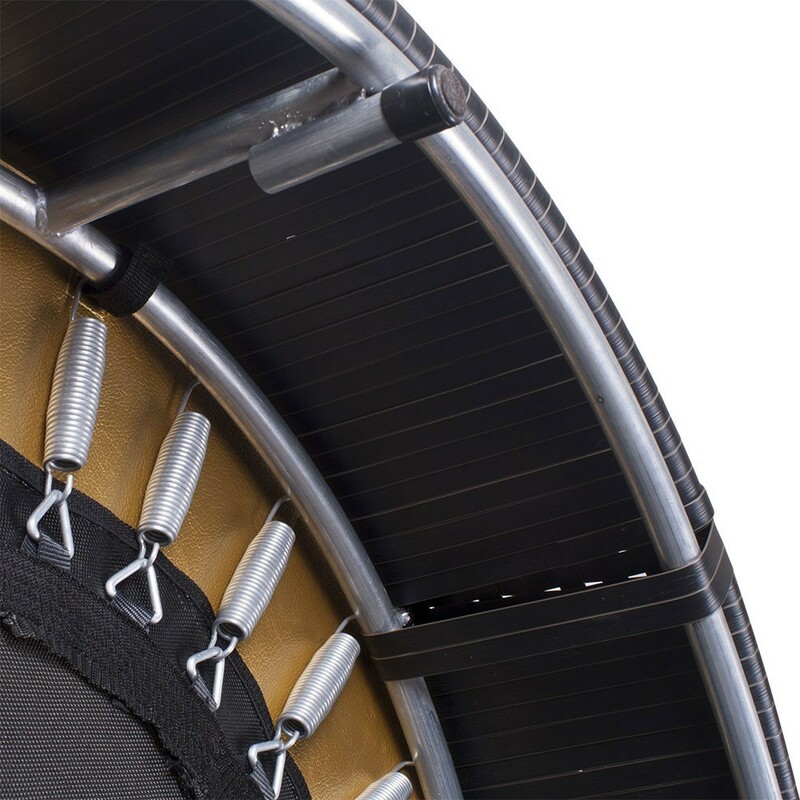 - This trampoline has 30 springs of 140 mm in length, which have also been galvanized. It is perfect for regular fitness or other sporting activities. 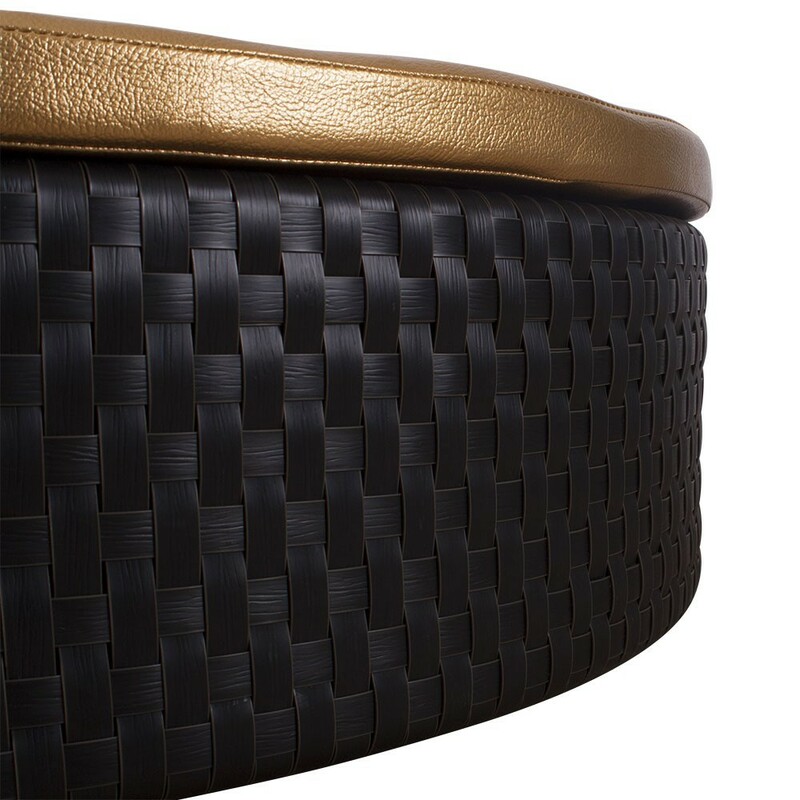 - The jumping mat is black and has 6 rows of stitches for maximum resistance. 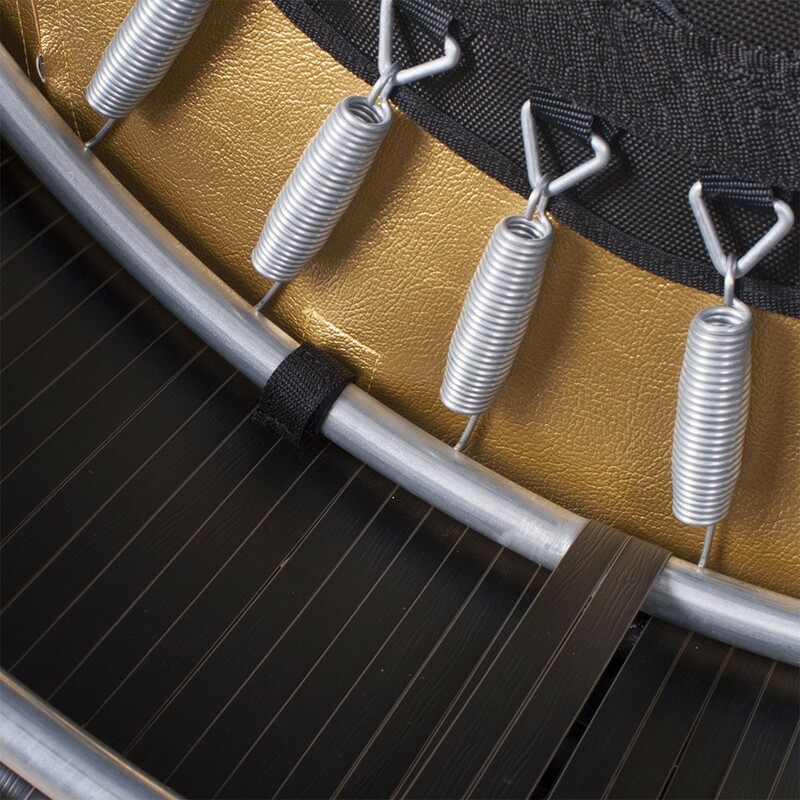 The mat is held in place using steel rings, making it even stronger. - To ensure safety, it has a thick frame pad, with beautiful finishings, guaranteeing a high-end product. 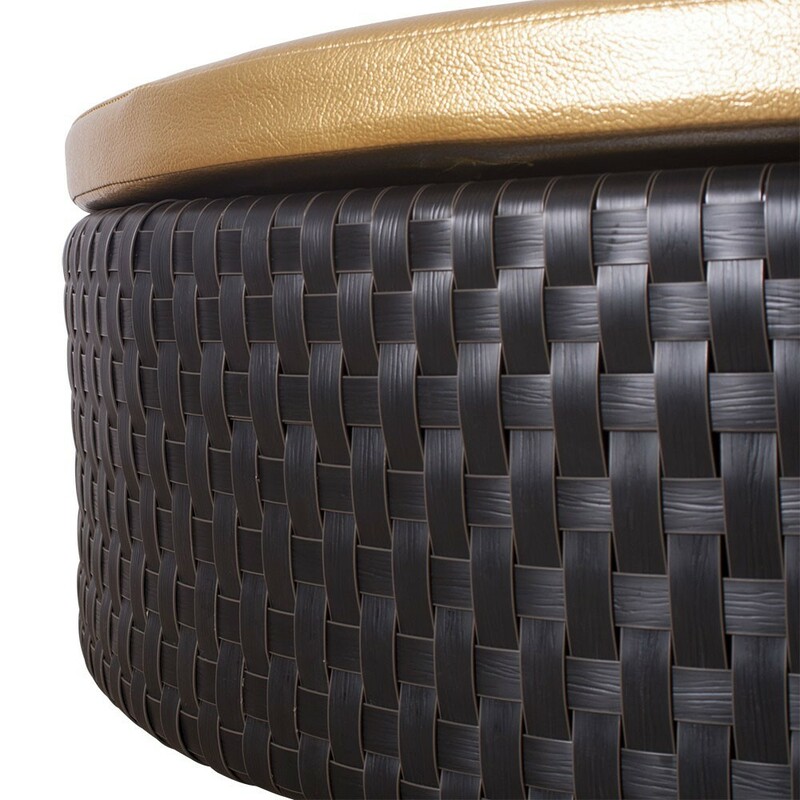 - The skirt of this mini-trampoline is built out of black rattan and is hand stitched for a sober and elegant finish.